Truth After All Can Never Die! 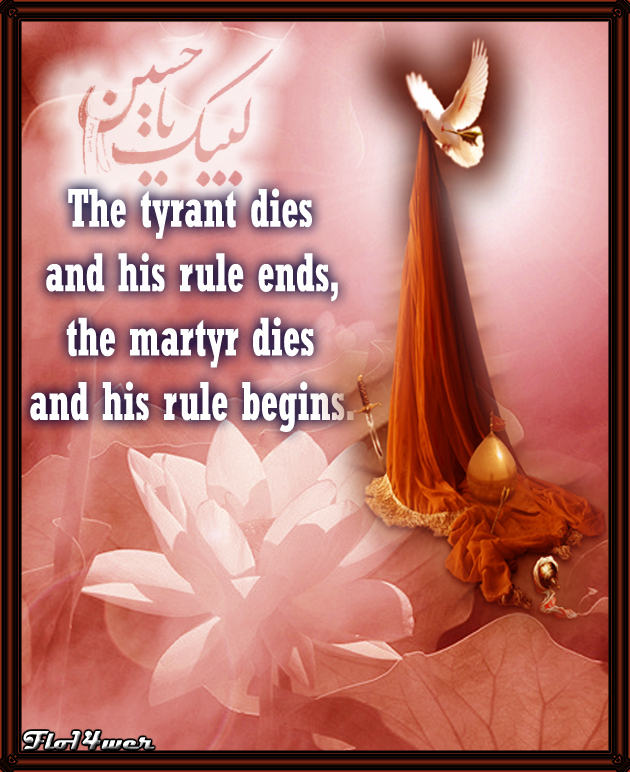 Hossein brave stand was taken against oppression and dictatorship. When evil and injustice threatened to ruin society, he and his family and his true friends, fought for human rights, freedom and justice for all! Justice is not to be compromised at all levels. No matter where we live, what we do, at work, at home, or at street, we will never tolerate injustice. Freedom is an absolute right not to be taken from anyone. No manmade authority has the right to make people slaves. God created people as equals with free will, and none can deny them this. No justification of wrong in the name of the religion. God sent messengers to guide people to what is best. Truth and happiness is what religion holds for people. To use it as a justification for one’s own interests and agenda is never to be accepted. 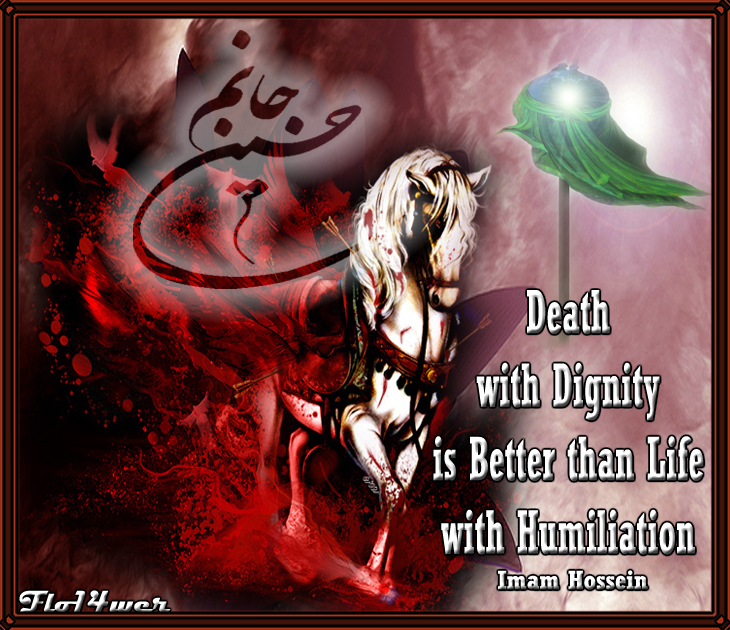 So every year on Ashoura we mourn the tragedy of Karbala, and the stand for all that was right against all that was evil. We should stand together and do not allow extremists to use religion to justify their unkind crimes! We should stand together so that one day we may have a world where justice and peace reign for all people. Hossein represented authentic Islam, a way of life based on community, love of one’s neighbors, peaceful co-existence with people of different believes, social justice and equality for all regardless of race or religion.